Dallas has been a lucky city as far as real estate is concerned. Even at the peak of the recession, Dallas didn’t have nearly as many foreclosures and other distressed properties as other cities across the country. Home prices have been relatively stable, and economic growth has continued without interruption for the surrounding area. The latest statistics on the area’s real estate market suggest even more good news. According to reports, Dallas foreclosures are now at the lowest level they’ve been at in over a decade. Only 1,400 homes across the Dallas metro area are scheduled for auction in June 2014, down nearly 50 percent from what they were in June 2013. The number of Dallas foreclosure filings so far in 2014 is also down by a third from 2013, and are far less than their peak levels in 2010. Monthly foreclosures are also down significantly, by 75 percent of the peak volume in 2010. This reflects a national trend of fewer foreclosures brought about by stronger housing markets. Fewer homeowners are getting behind on their payments, and those who do have more options at their disposal to rectify the situation and seek loan modifications or other sources of help. In addition to there being fewer Dallas foreclosures on the docket, there are fewer home sales, period. 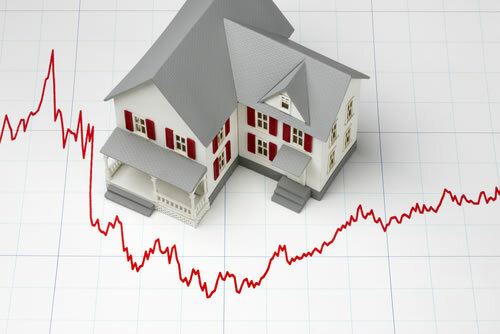 According to reports, home sales for April were five percent lower than they were in April 2013. Home sales have declined for three of the past four months, and sales for the first four months are down by three percent from the first four months of 2013. A tightening supply is the culprit behind fewer home sales. Fewer homes are being listed, and those that are listing are being quickly snapped up by buyers eager to cash in on the hot Dallas real estate market. The average time to sell a house is now 53 days, but there are neighborhoods in which homes go much faster. Rising home prices will eventually help to solve this problem. Home prices in the Dallas-Fort Worth metro area went up by nine percent from 2013. This trend, if it continues, will ultimately convince more homeowners to sell their homes and lock in profits, especially if they bought during the recession. Thus, higher prices could result in more supply, which will further fuel the real estate renaissance in the Dallas area.